Both Prof. Lotti and Prof. Parsad have published many papers, book chapters and books on vitiligo and other skin conditions. It is impossible to include them all so we have selected a few for your information. Lotti T, D'Erme AM. : Vitiligo as a systemic disease. ; Clin Dermatol. 2014 May-Jun;32(3):430-4. doi: 10.1016/j.clindermatol.2013.11.011. Epub 2013 Nov 22. Abstract: Vitiligo is an acquired depigmentary skin disorder of unknown etiology. Vitiligo is not only a disease of melanocytes of the skin. Human melanocytes are derived from the neural crest and are located in various parts of the body. The involvement of skin melanocytes is the most visible one, but a systemic involvement of melanocytes can be observed. Some types of vitiligo (nonsegmental vitiligo) may also be associated with various diseases, mainly with autoimmune pathogenesis. Vitiligo represents a spectrum of many different disorders with different etiologies and pathogenesis, causing a common phenotype: the loss of melanocytes and/or their products. This phenotype is always consistent with a systemic involvement. Lee BW, Schwartz RA, Hercogová J, Valle Y, Lotti TM. : Vitiligo road map. ; Dermatol Ther. 2012 Nov-Dec;25 Suppl 1:S44-56. doi: 10.1111/dth.12006. Abstract: Vitiligo is a depigmenting disorder stemming from melanocyte loss or dysfunction. It has a complex, multifaceted etiology. We constructed a “vitiligo road map,” consisting of basic science, clinical, and treatment components, in order to better portray our current understanding of vitiligo pathogenesis and reflect upon novel biomarkers and therapeutic targets for future research. The melanocyte map elaborates on the molecular processes and intracellular signaling pathways initiated by various external autocrine/paracrine factors in representing normal melanocyte homeostatic functions modulating its viability, proliferation, differentiation, dendricity, migration, and melanogenic processes. This vitiligo map identifies known inducers/triggers of vitiligo onset and progression that cultivate a microenvironment for melanocyte disappearance, real or functional. This map describes the molecular mechanisms of currently utilized clinical and experimental treatments of vitiligo that facilitate repigmentation. Pietrzak A, Bartosińska J, Hercogová J, Lotti TM, Chodorowska G.: Metabolic syndrome in Vitiligo. : Dermatol Ther. ; 2012 Nov-Dec;25 Suppl 1:S41-3. doi: 10.1111/dth.12012. Abstract: Vitiligo is an acquired, depigmenting skin disease with still unclear, multifactorial etiopathogenesis. However, there is growing evidence that Vitiligo affects not only the skin but it may also be connected with metabolic abnormalities, including glucose intolerance and lipid abnormalities, all of which confirms the systemic nature of the disease. Recently, it has been shown that melanocytes, especially those found in the adipose tissue, due to their ability to decrease inflammation and oxidative damage, are capable of preventing the metabolic syndrome. The article presents updated knowledge on potential metabolic disturbances in Vtiligo. Valle Y, Lotti TM, Hercogová J, Schwartz RA, Korobko IV. : Multidisciplinary approach to R&D in Vitiligo, a neglected skin disease. : Dermatol Ther. 2012 Nov-Dec;25 Suppl 1:S1-9. doi: 10.1111/dth.12009. Abstract: A global interest in therapies for neglected diseases is rising, but traditional biopharma research and development (R&D) process is prohibitively expensive to justify the cost of their development. Vitiligo is a multifactorial orphan disease that affects at minimum 35 million people worldwide, yet no therapeutic solutions exist. The present authors describe a budget-minded pursuit of the new therapy development for vitiligo, which includes a multidiscipline collaboration and effective bridging between academic research, biobanking, and bioinformatics. The present authors anticipate that the present authors’ “theoretically induced and empirically guided” discovery process will enable development of more leads, with a much greater probability of success and under tighter budgets compared with those of the biopharma company. Ultimately, the multidisciplinary approach described below facilitates the collaborative development of personalized treatments for different patient subpopulations in vitiligo and other neglected diseases. Moretti S, Arunachalam M, Colucci R, Pallanti S, Kline JA, Berti S, Lotti F, Lotti T.: Autoimmune markers in Vitiligo patients appear correlated with obsession and phobia. : J Eur Acad Dermatol Venereol. 2012 Jul;26(7):861-7. doi: 10.1111/j.1468-3083.2011.04171.x. Epub 2011 Jul 1. Abstract: Current studies have treated a limited portion of the subjective aspects of Vitiligo patients and have yet to elucidate possible psychological differences between those with autoimmune markers (AIM) with respect to those without autoimmune markers (NAIM). To perform an age and gender-matched 1:1 case-control study through a comparison of non-segmental Vitiligo patients with autoimmune features vs. those without autoimmune features in regards to psychiatric features, psychosomatic aspects and social parameters. A total of 112 non-segmental vitiligo patients have been examined at the Florence University dermatology outpatient service (2nd dermatology unit). Vitiligo with an autoimmune background was defined by the presence of autoimmune antibodies and/or autoimmune diseases. Psychiatric screening was performed by dermatologists using the modified Middlesex Healthcare Questionnaire (MHQ); psychosomatic aspects and social impact were analysed with a standardized, Florentine questionnaire. Upon performing a conditional regression model, age, phobia and obsession were significantly predictive of the presence of AIM and a low total MHQ score was significantly predictive of NAIM in vitiligo patients. With univariate analysis, we found significant differences in: identifiable stress related to the onset of vitiligo, vitiligo triggered by stress, and modified interpersonal relationships related to vitiligo, which was associated with the subgroup containing autoimmunity markers. We found a higher prevalence of age, obsession and phobia among vitiligo patients AIM as compared to vitiligo patients NAIM. Thus, in the presence of demonstrated autoimmunity, screening for particular psychiatric aspects may be useful in the clinical practice of vitiligo. Arunachalam M, Sanzo M, Lotti T, Colucci R, Berti S, Moretti S.: Common variable immunodeficiency in Vitiligo. : G Ital Dermatol Venereol. 2010 Dec;145(6):783-8. Abstract: Three cases of adult, non-segmental Vitiligo patients in which primary, common variable immunodeficiency (CVID) was present are described. In two of the three cases, psoriasis was also present. Onset of CVID was diagnosed with vitiligo in two patients, and subsequent to the onset of vitiligo in the remaining patient. A family history of CVID was negative in all three cases. In contrast, a family history of vitiligo was present in two cases and a family history of psoriasis was present in one case. In regards to vitiligo, disease onset was gradual, with active disease in two cases, while the third case had an abrupt disease onset with borderline activity during the clinical presentation. Cutaneous disease extension ranged from 2% to 12.3% in the three cases. Upon physical exam, Koebner phenomenon and signs of inflammation, such as pruritus were present in two patients; one of whom had scalp leukotrikia as well. Stress was a triggering factor in the development of vitiligo in two cases. The presence of CVID due to drugs or diseases known to cause secondary antibody deficiency were excluded in all three patients. Lastly, all patients were under treatment with immunoglobulin replacement therapy, which did not change the outcourse of vitiligo. 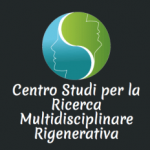 Moretti S, Fabbri P, Baroni G, Berti S, Bani D, Berti E, Nassini R, Lotti T, Massi D.: Keratinocyte dysfunction in Vitiligo epidermis: cytokine microenvironment and correlation to keratinocyte apoptosis. : Histol Histopathol. 2009 Jul;24(7):849-57. doi: 10.14670/HH-24.849. Abstract: Vitiligo is a skin disorder characterized by loss of functional melanocytes. Keratinocytes contribute to melanocyte homeostasis, and keratinocyte alteration may play a role in melanocyte dysfunction in vitiligo. In particular, the release of melanogenic mediators and the level of functioning keratinocytes may affect melanocyte dysfunction in vitiligo epidermis. Keratinocyte-derived mediators involved in pigmentation, analysed by in situ hybridization, and epidermal apoptosis, detected by TUNEL assay and electron microscopy, were evaluated in lesional and perilesional skin biopsies from 15 patients with active vitiligo and in 5 control subjects. Among the melanogenic mediators, stem cell factor (SCF) and endothelin-1 (ET-1) mRNA were significantly reduced in lesional as compared to perilesional epidermis, whereas no difference was observed in mRNA of basic fibroblastic growth factor (bFGF) and granulocyte-monocyte colony stimulating factor (GM-CSF). The expression of mRNA for tumor necrosis factor (TNF)-alpha and interleukin-6 (IL-6), two pro-inflammatory cytokines with an inhibitory effect on pigmentation, was increased in the epidermis from vitiligo biopsies, whereas their expression was practically undetectable in the skin of control subjects. Apoptotic keratinocytes were more abundant in lesional vs. perilesional skin of vitiligo patients and were absent in the epidermis of control subjects. Changes in expression of keratinocyte-derived mediators observed in the present study are consistent with their differential functions in melanocyte regulation. In particular, increased TNF-alpha could contribute to keratinocyte apoptosis, which results in reduced release of melanogenic cytokines and ultimately in melanocyte disappearance. Becatti M, Fiorillo C, Barygina V, et al. SIRT1 regulates MAPK pathways in Vitiligo skin: insight into the molecular pathways of cell survival. Journal of Cellular and Molecular Medicine. 2014;18(3):514-529. doi:10.1111/jcmm.12206. Abstract: Vitiligo is an acquired and progressive hypomelanotic disease that manifests as circumscribed depigmented patches on the skin. The aetiology of vitiligo remains unclear, but recent experimental data underline the interactions between melanocytes and other typical skin cells, particularly keratinocytes. Our previous results indicate that keratinocytes from perilesional skin show the features of damaged cells. Sirtuins (silent mating type information regulation 2 homolog) 1, well-known modulators of lifespan in many species, have a role in gene repression, metabolic control, apoptosis and cell survival, DNA repair, development, inflammation, neuroprotection and healthy ageing. In the literature, there is no evidence for SIRT1 signalling in vitiligo and its possible involvement in disease progression. Here, biopsies were taken from the perilesional skin of 16 patients suffering from non-segmental vitiligo and SIRT1 signalling was investigated in these cells. For the first time, a new SIRT1/Akt, also known as Protein Kinase B (PKB)/mitogen-activated protein kinase (MAPK) signalling has been revealed in vitiligo. SIRT1 regulates MAPK pathway via Akt-apoptosis signal-regulating kinase-1 and down-regulates pro-apoptotic molecules, leading to decreased oxidative stress and apoptotic cell death in perilesional vitiligo keratinocytes. We, therefore, propose SIRT1 activation as a novel way of protecting perilesional vitiligo keratinocytes from damage. Abstract: Vitiligo is a relatively common acquired skin disorder, characterized by the progressive loss of melanocytes, which results in white patches. Classically, Vitiligo’s treatments have been considered unsatisfactory and challenging. Recent advances in the knowledge of Vitiligo’s pathogenesis have contributed to find better therapeutic options, so that at present many patients find a solution for depigmented skin. The authors show new promising technologies for Vitiligo’s repigmentation. A comprehensive overview of vitiligo. Abstract: Vitiligo is an important skin disease having major impact on quality of life of patients, many of whom feel distressed and stigmatized by their condition. Society greets vitiligo patients in much the same way as it does any one else who appears to be different. They are started at or subjected to whispered comments, antagonism, insult or isolation. The chronic nature of disease, long term treatment, lack of uniform effective therapy and unpredictable course of disease is usually very demoralizing for patients suffering from vitiligo. It is important to recognize and deal with psychological components of this disease to improve their quality of life and to obtain a better treatment response. Abstract: For effective treatment of vitiligo, it is as important to arrest the progression of the disease as it is to induce repigmentation. Recently, oxidative stress has been shown to play an important role in the pathogenesis of vitiligo. Ginkgo biloba extract has been shown to have antioxidant and immunomodulatory properties. In a double-blind placebo-controlled trial, we evaluated the efficacy of G. biloba extract in controlling the activity of the disease process in patients with limited and slow-spreading vitiligo and in inducing repigmentation of vitiliginous areas. Fifty-two patients were assigned to two treatment groups (A and B) in a double-blind fashion, but only 47 patients could be evaluated, because one patient in group A and four patients in group B withdrew for reasons unrelated to the study. Patients in group A were given G. biloba extract 40 mg three times daily whereas patients in group B received placebo in similar doses. A statistically significant cessation of active progression of depigmentation was noted in patients treated with G. biloba (P = 0.006). Marked to complete repigmentation was seen in 10 patients in group A, whereas only two patients in group B showed similar repigmentation. The G. biloba extract was well tolerated. G. biloba extract seems to be a simple, safe and fairly effective therapy for arresting the progression of the disease. Abstract: The elderly constitute a large and rapidly growing segment of the population; however, there is complete lack of information about the epidemiology of vitiligo in this age group. To study the clinical and epidemiological profile of vitiligo in the elderly, we retrospectively analyzed the data of patients with vitiligo having onset of disease after 50 years of age attending the pigmentary clinic of our center. Of the 182 patients, 87 (47.8%) were males and 95 (52.2%) were females. The mean age of onset of disease was 55 ± 2.3 years. Vitiligo vulgaris was the most common (83.5%) followed by focal (5.5%), segmental (4.4%), acrofacial (3.8%), mucosal (2.2%), and universal (0.5%). The most common site of onset was the head and neck (24.2%) followed by the upper limbs (23%), trunk (22%), lower limbs (17.6%), oral/genital mucosae (7.1%), and flexures (6%). Koebner’s phenomenon was observed in 14.8% while leukotrichia was present in 47.3% of the patients. Halo nevi were observed in 3.8% of patients, and vitiligo was stable in 64.8%. Twenty-nine (15.9%) patients had family history of vitiligo. Associated autoimmune autoimmune/ endocrine disorders were present in 39 (21.4%) of the patients. Differences in disease characteristics compared with vitiligo in children and young adults are discussed. Parsad D. A New Era of Vitiligo Research and Treatment. Journal of Cutaneous and Aesthetic Surgery. 2013;6(2):63-64. doi:10.4103/0974-2077.112664. This is a very exciting phase of vitiligo research in which vitiligo is being tackled by multipronged attacks in the form of advancement in basic research, genetics and treatment including surgical management. In order to achieve the ultimate goal of total stability and complete repigmentation, there is a need to define a roadmap and roadblocks. Vitiligo Global Issues Consensus Conference (VGICC) recently revised the classification of the disease. There are still several unmet needs as pathophysiology or prognosis based classifications would be more useful. Recent progress in genetics of generalized vitiligo provide insights into underlying pathogenetic mechanisms and incrimination of vitiligo susceptibility genes that controls important aspects of immune regulation. Recent data has clearly supported that vitiligo is a T-cell mediated autoimmune disease. Heat shock protein 70 (HSP70) plays a central non redundant role in precipitating of depigmentation in vitiligo. Mosenson et al. in a very promising study recently showed that vitiligo can be reversed through immune targeting with mutant HSP70. Abstract: Stability is a hard-to-define concept in the setting of vitiligo, but is nonetheless extremely crucial to the planning of treatment regimens and also in prognosticating for the patient. There are several ways to judge stability in vitiligo, which include clinical features and, recently, many biochemical, cytological and ultrastructural correlates of the same. These recent advances help in not only in prognosticating individual patients but also in elucidating some of the mechanisms for the pathogenesis of vitiligo, including melanocytorrhagy and oxidative damage to melanocytes. Colours have fascinated humans since ancient times. Colorful paintings of Ajanta and Ellora caves that date back many years BC are a testimonial to this fact. Various colourful pigments have been used by tribal communities to paint the bodies, particularly at ceremonies. In the past, men with different colours have been graded as superior or inferior. It has been the cause of wars and racial discrimination. Human skin is the most visible aspect of the human phenotype and is characterized by the great range of genetically determined skin colors present within a single species. The skin is one of the most important components of an individual’s physical appearance. We may be advancing towards a world where skin color is seen simply as a descriptor rather than a defining factor for an individual but people who are differently or abnormally coloured (hypo or hyperpigmentation) still face severe psycho-social problems. Abstract: Koebner phenomenon (KP) in vitiligo has been redefined and classified recently.To study the clinical characteristics of various grades of KP. In this prospective cross-sectional study, 202 patients with vitiligo were studied between January 2011 and December 2012 for the presence of KP. Based on the new Vitiligo European Task Force guidelines, KP was classified as type 1-3 and grades Ι-IV. Disease characteristics were studied in the various groups and subgroups based on the presence of KP. Koebner phenomenon was seen in 130 of 202 patients. The mean age of patients showing KP was 23.9 ± 13.6 years, compared with 19.3 ± 12.4 years for patients not showing KP (P = 0.02). The mean body surface area involved in the KP-positive group was 4.6 ± 5.6%, vs. 1.5 ± 1.1% in the KP-negative group (P = 0.001). Fifty-five patients experiencing KP received low-dose dexamethasone oral minipulse therapy compared with nine of those who did not (P = 0.01). Of the 130 patients with KP, grade Ι KP was seen in 32, grade II KP in 116, grade III KP in 22 and grade IV KP in 16. There was a significant difference between type 1 and type 2A KP, and between type 2A and type 2B KP. In contrast, type 1 and type 2B KP were found not to be significantly different and had a good degree of correlation. Patients with KP have a significantly higher age at onset, more extensive cutaneous involvement and are more likely to receive systemic steroids for disease control. Type 2A disease was found to be distinct from the other subtypes. Abstract: Background: Repigmentation is an essential outcome measure in vitiligo. However, clinical studies describing vitiligo repigmentation patterns are lacking. Objectives: To assess and clearly define the repigmentation patterns in a series of vitiligo patients, correlating these with clinico-epidemiological characteristics. Methods: Patients with vitiligo seen at least at twice (initial consultation and follow-up visit) in the Department of Paediatric Dermatology, Hôpital Pellegrin des Enfants, Bordeaux University Hospital from 2006 to 2014, were included. Clinical photographs and case records were reviewed. Results: There were 109 patients (64 females, 45 males) with mostly Fitzpatrick skin type III (n=67, 61%). The majority had non-segmental (n=71, 65%) or segmental vitiligo (n=29, 27%). A total of 172 representative vitiligo lesions were analysed. Overall, a combined pattern of repigmentation was most commonly seen (n=106, 62%). The combined pattern occurred more frequently in patients with segmental compared to non-segmental vitiligo (p=0.009); whereas, the diffuse pattern was more frequent in the latter (p=0.007). Diffuse repigmentation was the predominant pattern on the eyelids (p<0.001). We observed a new pattern in sites with few to absent hair follicles, which we propose to call “medium spotted repigmentation”. This begins as circular macules of repigmentation, wider than 5mm in diameter, which are from the outset, larger than the initial macules of perifollicular repigmentation. This study is limited by its retrospective nature and small sample size for subgroup assessment. Conclusions: The combined pattern of repigmentation was most frequently observed. Medium spotted repigmentation is a new pattern, which will benefit from larger studies for better understanding. Abstract: Background: Vitiligo is a multifactorial disease in which genetic, immunologic, and environmental factors play an important part. Late-onset vitiligo is a poorly defined entity. Materials and methods: Case records of patients who attended the pigmentary clinic at our institute from January 2001 to December 2010 were reviewed. Patients with a diagnosis of vitiligo were analyzed with respect to their demographic characteristics with special reference to their age at onset. Results: Patients with disease onset after 30 years had a significantly higher association with precipitating factors such as trauma, stress, and drugs in comparison with early-onset vitiligo (p < .004). However, the difference did not reach statistical significance when these factors were analyzed individually. There was a significantly higher association with other nonautoimmune diseases (p = .05), a higher incidence of positive family history (p < .0001), and a higher association with leukotrichia (p < .002) in late-onset disease. Early-onset nonsegmental vitiligo was associated with a higher incidence of photosensitivity and pruritus compared to early-onset segmental vitiligo. Conclusion: Late-onset vitiligo has certain distinguishing features compared to early-onset vitiligo.